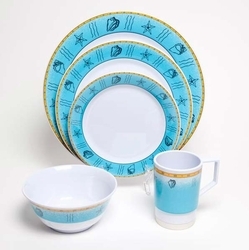 What makes our decorated dinnerware sets so special? 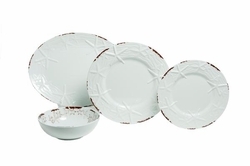 Beauty, Durability and Versatility! 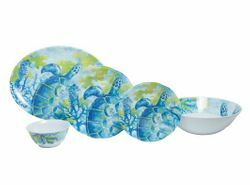 Nothing says "fun at the beach" better than a table set with one of our whimsically decorated matching sets of melamine dinnerware. 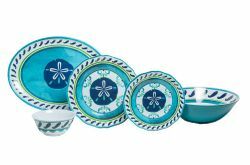 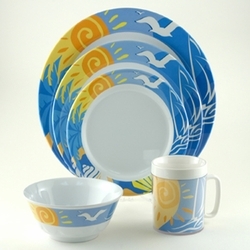 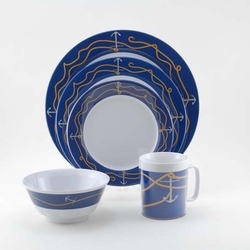 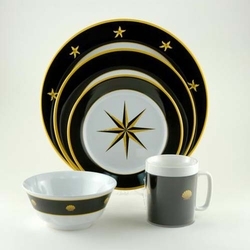 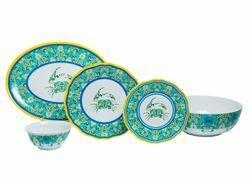 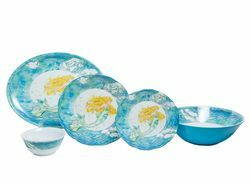 What makes our decorated coastal melamine dinnerware sets so special? 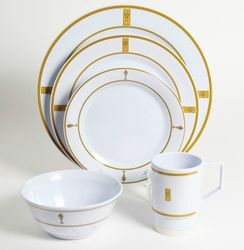 Beauty, Durability and Versatility! 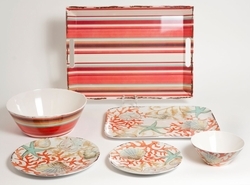 We hand selected our coastal melamine dinnerware sets to give you more choices. 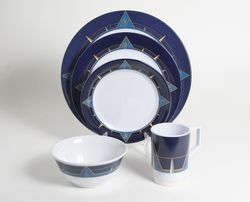 Look through our collection, and you'll find sets that not only provide function but also enchanting style. 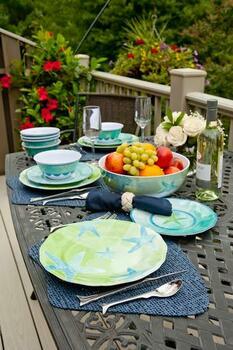 Choose from a variety of colors that complement your table and fit your design scheme. 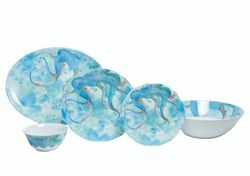 Our easy-care coastal themed melamine dinner sets are not only stylish, but they're also break-resistant to give you added peace of mind. 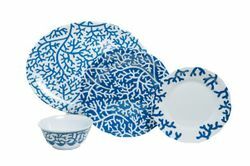 For 20 years, this inspiring collection of coastal melamine dinnerware and serveware designs have been dazzling seafarers and vacation-goers all over the world. 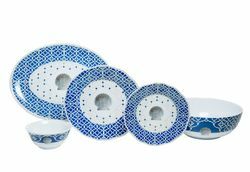 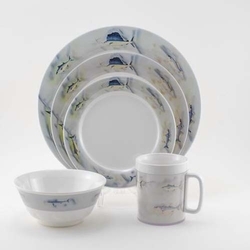 Every plate and bowl are made of durable melamine, so it will resist chipping, breaking and shattering. 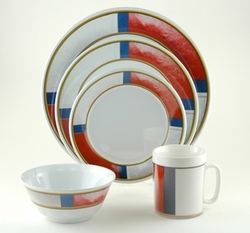 Enjoy your dinnerware for years to come. 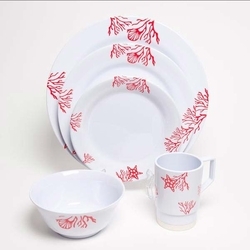 You can put them in the dishwasher, and you can place them in the microwave for up to 60 seconds. 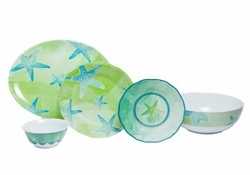 Whether it's an intimate, candlelight dinner or a grand nautical soir�e, these coastal melamine dinnerware sets add the perfect touch. 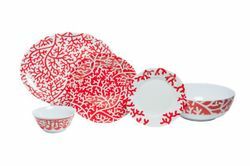 Light-weight and durable, yet refined and elegant.